A wizard without a wand? How can that be? Aren't "wizard" and "wand" almost synonymous? 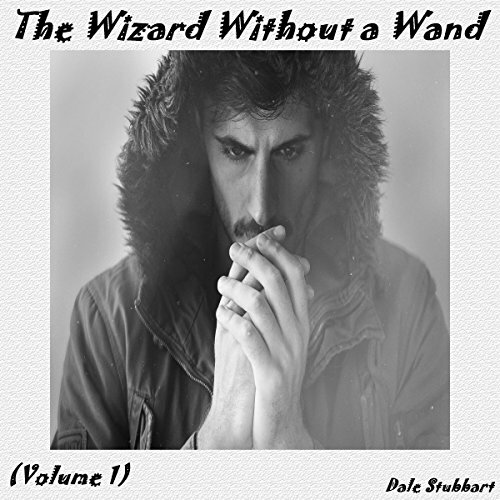 In this first title of the series, we meet this wizard without a wand - Shmedley Thrumbledack - and his closest friends in their first year at Wizard School. This Wizard School is so expensive that Shmedley's parents run out of money buying his supplies and don't have enough left over to buy him a wand. Shmedley is part of a group of kind students dubbed "The Tensome". Shmedley is very smart in wizard math and knows exactly how much a kajillion is. The first book in a series, Volume 1 sets the stage by introducing the characters as they begin their first year of wizarding school. Fun, entertaining and not too serious, this is a great book for the YA crowd of for the young at heart who love a magical setting that doesn't require you speak Elvish, engage in long quests or fight battles with trolls and balrogs. Ideal for an afternoon's entertainment. I loved it. While this book is listed in the 'swords and sorcery' section, it is very much a kids, maybe early teens, book. The cover, with an adult on it, is deceptive. The wizard school is a high school, with the characters being 14-15 years old. It is almost impossible nowadays to have a 'wizards goes to wizards school' story without Harry Potter comparisons. So here it is: This book is not Harry Potter. HP is serious, at times dark, and with deep themes of love and loss and family. this book is a fun, absurdist delve into a strange world. Imagine more Discworld's Unseen University rather than Hogwarts. Professors, students, logic etc is all a bit off kilter. It's fun and strange and interesting. Once you get what the book is going for in style, it's easy to enjoy. And the book just ends. There is a bit of a cliffhanger, but not much. It almost feels like the end of Act One, so you don't get anything like a full story arc. To know the rest you will have to pick up the rest of the books, but the ending isn't one that leaves you with a "must know" feeling. Narration by Gareth Johnson is really good. Initially I really disliked narration. To the point I wondered if I could get through the book. It is over-the-top, and I really disliked the way the main characters name was said. Every time it was said it is painful. But the author describes in the text how the name is supposed to be said, and Johnson get's it right. And that's the thing, the over the top, slightly annoying narration is perfect for the book. Once I realised what the book was going to be, rather than what i initially thought it might be, it all fell into place. It suits the text and the characters and the silly humour of the whole thing really well. It's the right narration for it. Great story with over the top narration by Gareth Johnson!I am looking forward to book 2!I was given this book by the narrator,author or publisher free for an honest review. A great book with excellent narration that is full of emotion and the most interesting descriptive story line. I was very much impressed by the narrator:) I enjoyed this book very much and would recommend trying it to those who are on the fence about it. This started out pretty slow I feel it could have skipped some of the beginning I did stick with it and it did get better. I do think it was a bit too short that the end of the story left way too many questions and there is no knowing if there will be another. Was a pretty short read. I did enjoy the narrator of the story thought he did great with many things. I had requested this book for free but the opinion is of my own. Good book within an interesting story and nice characters. The narration fits it very well.